I bought this tea during the first year of my doctoral degree, and during the second year of Lei's. It has travelled with us, through our various houses, changing locations each year, before finally settling in our eventual home. Like the couple with whom it travelled, this tea has come a long way, and is a "work in progress". I checked the Half-Dipper to find my previous notes on this tea, but was amused to find that there were none. So, I have the opportunity to add my list of notes with a tea that I remember loving very much, and which I haven't touched in over three years. 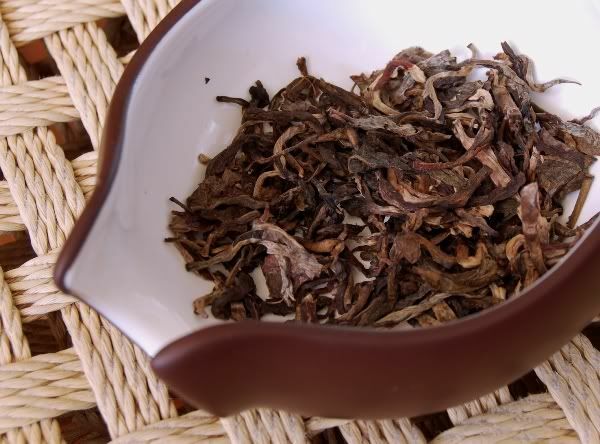 I bought this tea from Yunnan Sourcing on release, and have been searching high and low for further examples. Happily, it is quite common on Taobao, where it sells today for less than I bought it originally. It is a big, beefy tuocha, weighing in at a decidedly hefty 250g. "Zaochun" means "early spring", and I believe that 2005 was the last time that this was made. Since then, we have others to replace it, such as the delicious "08 Tuocha". The compression is very sociable: it is tight enough to age nicely, but loose enough that leaves can be separated without breaking them. 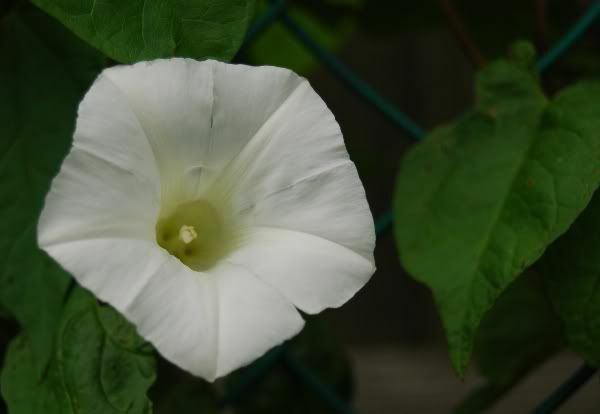 As you can see, they are medium-sized leaves. 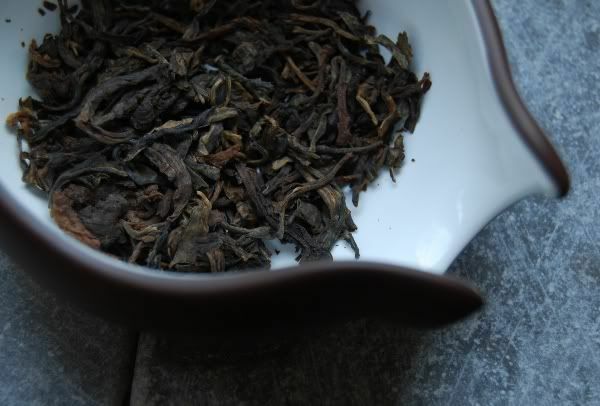 Almost no tips exist in the blend, but there are plenty of stems and huangpian [yellow flakes]. I remember this tea being super-green, and spicy. In the three years since we've sat down together, this tea has changed greatly. It is fascinating to be able to observe these changes first-hand, with knowledge of how the tea tasted originally. It remains an honest, untainted yellow, which I find very encouraging. As before, it has tons of kuwei [pleasant bitter taste] - it's a real eye-opener. 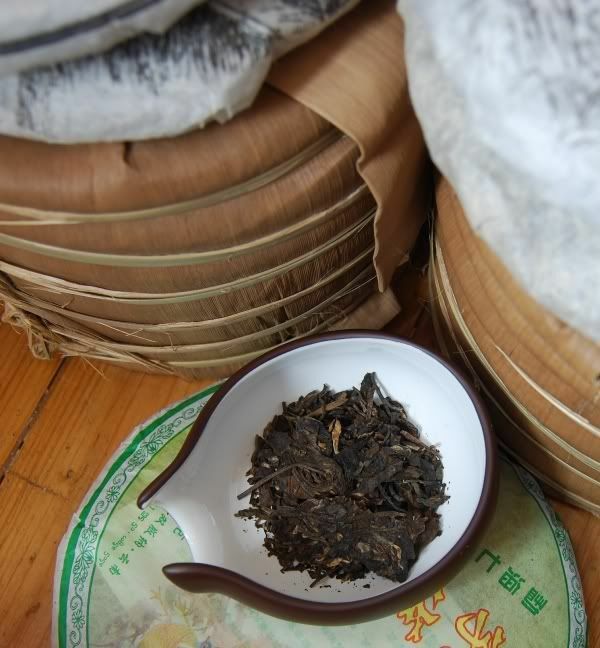 Unlike before, the main body of the flavour has changed from fresh green Menghai straw to a pine-like sweetness. This tea has been caught right in the midst of the changes of its adolescence. It has the potent kuwei of youth, and some hints of the woody territory into which it will age. At the moment, it's not a very enjoyable drink. 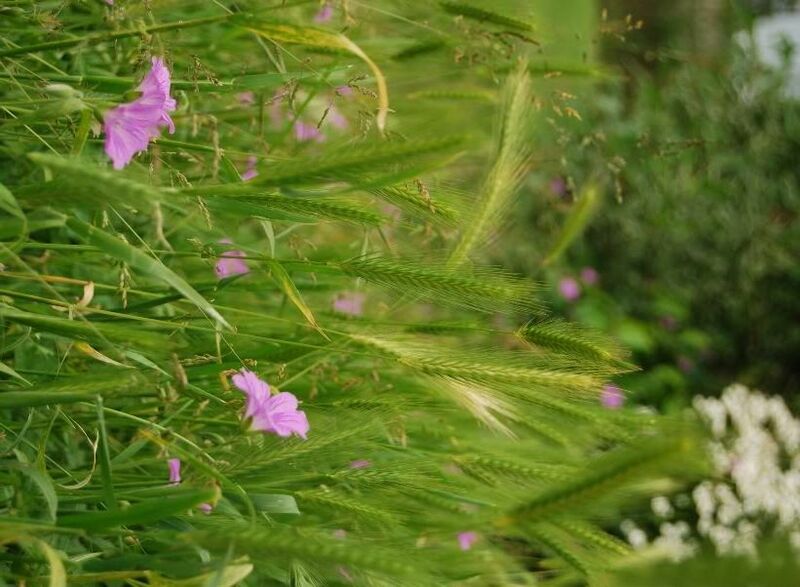 That pine-like woodiness is not yet developed, and the kuwei has not yet changed. 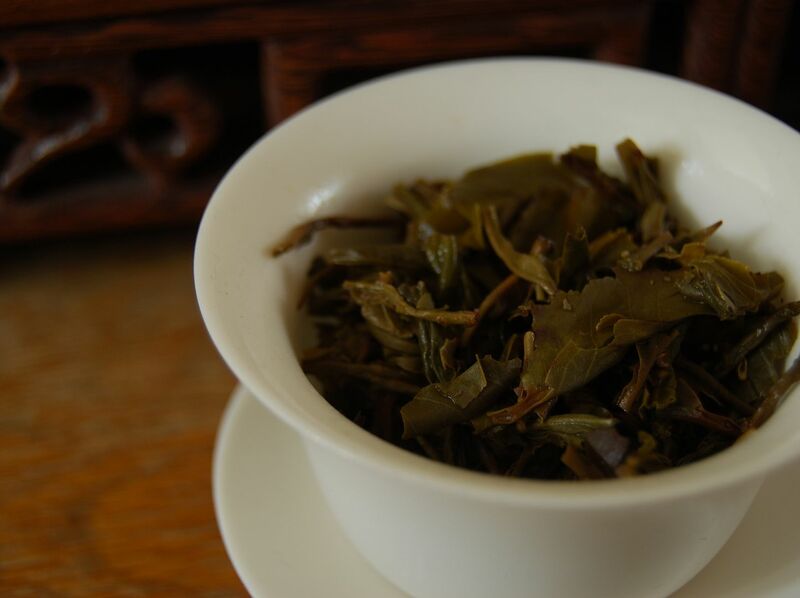 It's simply too aggressive, but without the fresh Menghai flavour of green tea, after its four years. This is an honest, powerful tea, and I'm definitely going to be buying several more tubes. My strategy with teas at the moment is to buy one or two pieces to test, via costly international postage, then, if those test purchases turn out to be decent, buy in quantity and ship it via internal mainland post to Lei's family home, where we will collect it on our next visit. Here's to rediscovering an old friend, and to growing up together. P.s. I'm off to the south of France (Grenoble). If you're going to "IEEE Machine Learning for Signal Processing 2009" then look me up. I'm bringing tea! Zazen and tea are beginning to make a lot more sense. I am coming to understand, not just comprehend, that zazen and tea cannot be approached intellectually. I have read many times that you can't read about Zen - usually in classical Zen books. Having read such a thing many times, I felt that it made sense, and that I could comprehend the meaning of such warnings. I felt that I could intellectually grasp what the author meant. That's a type I error. The actual text itself was warning me not to try to grasp its warning intellectually. However hard I attempted to fit what I had read into my zazen, it didn't work. Though I could feel, in some limited way, that the words had the scent of truth to them, they didn't describe my experience. They were someone else's words. This is because I was approaching problem upside-down. I can't go from reading words -- someone else's words -- to a subsequent experience of my own. Instead, the experience has to come first, and then the words become a shared discourse between two people who want to share similar experiences. That way, the words are obvious, because we have some sense of the greater experience to which they refer. The words are an expression of our own experience. They are no longer just the words of some other person, but have become partially our own, because they describe our own experience. As in Zen, so it is with tea. "Cha Chan Yi Wei", as the name of Nada's 2008 cake has it: "Tea, Zen, One Taste." Does mean that words are useless without our own experience? Should we stop reading Dogen? Should we stop reading about tea? No - there is virtue in words, and they can lead us to discover experiences for ourselves. They are signposts, as long as we treat them as such, and not confuse them for something more permanent. So, I long ago stopped worrying about things that I don't know for myself. I stopped trying to remember all those words used to describe the flavour of tea from Nannuoshan, for example, and instead let it all go. I drink Nannuo tea, and have my own understanding of it, however limited. From that understanding, I share with others by seeing that their words describe something similar. 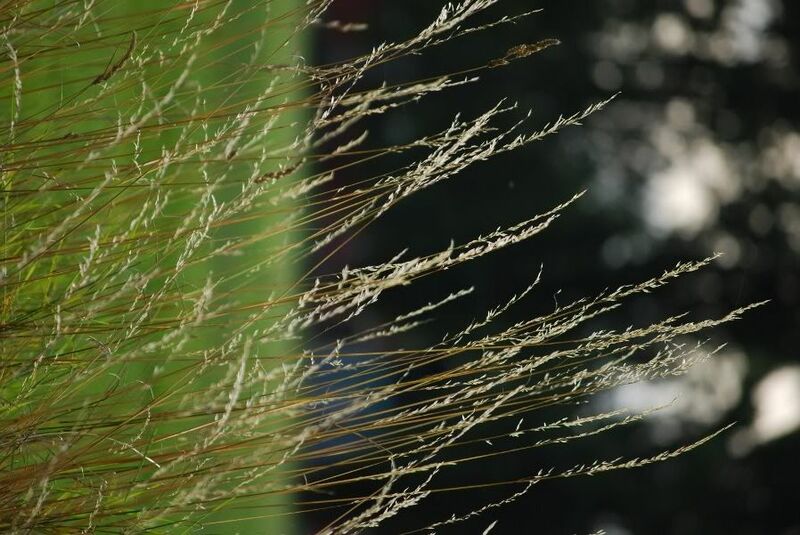 Zen relentlessly emphasises that we cannot force such understanding to appear just from reading the words of others - it has to come from our own experience. 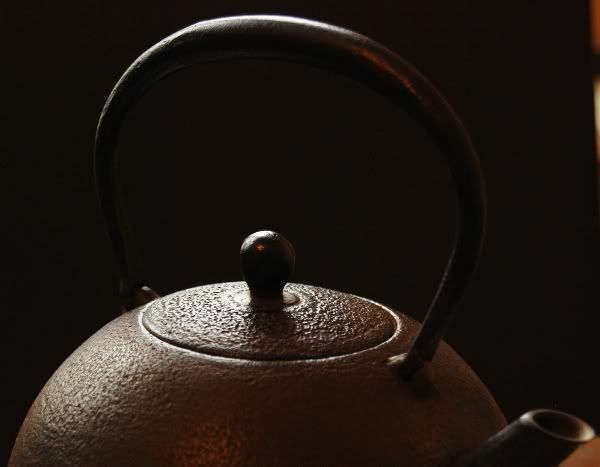 Am I a Zen master, or a tea master, or any other kind of master? 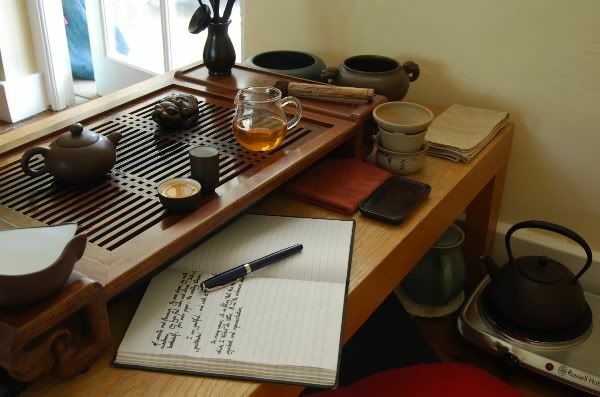 Not being a Zen master, nor being a tea master, does this make my words valueless? Does it make your words valueless? No. All of us have experiences along the way, and our words describe those experiences in ourselves, and speak to those same experiences in others. In many ways, the experiences of the beginner are just as valuable, if not moreso, than those of one further down the path. The title of one of my favourite books is "Zen Mind, Beginner's Mind." Such words describing experiences of sincerity from a beginner can be the most true of all, because they describe the most profound experiences, uncoloured by intellectual clutter. 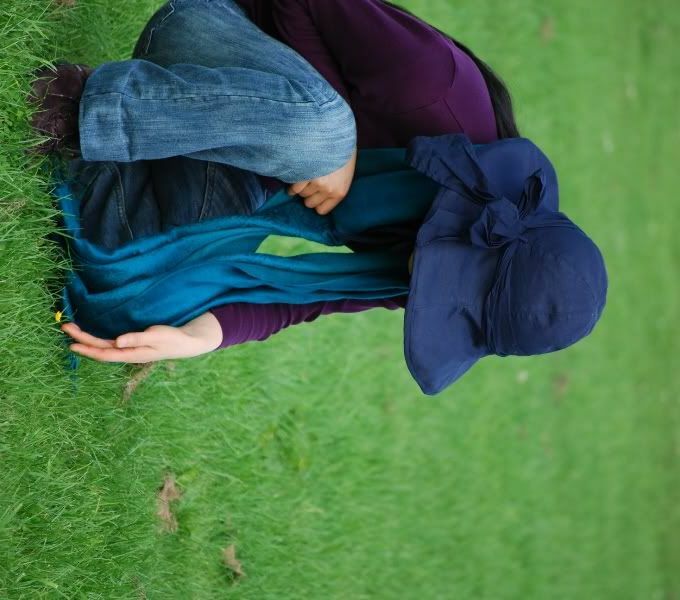 There is value to words, but don't approach the problem of zazen or tea in an upside-down way. So, drink more tea, and do more zazen. 2007 Chen Guanghe Tang "Hongyin"
A few years back, Chen Zhitong and his brand, Chen Guanghe Tang, used to get a lot of press - primarily from Houde and The Art of Tea magazine in the Western-oriented market, if memory serves. We don't read much about it any more, and I wonder what changed. Presumably he's still out there. He gets a lot of press in Chinese literature! Chen's teas have a reputation for being (i) nice, and (ii) expensive. The second point has put me off buying any cakes (for reasons of personal ethics, more than anything), but I've enjoyed several samples of his productions. 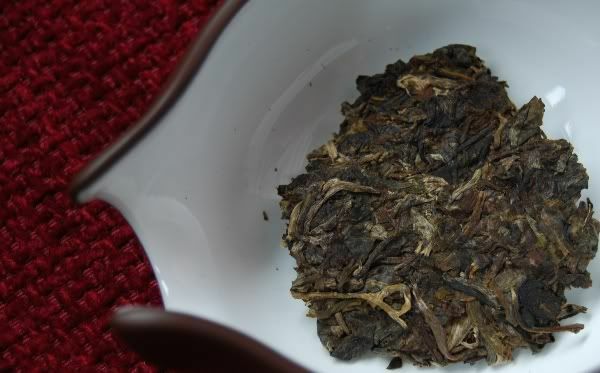 Thanks to KCJ for providing this sample, which is Chen's best guess at the blend of the famous 1950s Hongyin [red mark]. As pictured above, he's chosen little leaves for this recreation. The long, chunky scent of Yiwu sweet leather reminds me that Chen knows his tea. As ever, it is satisfyingly thick. This particularly variety is almost creamy, and finishes well in the mouth. It's well-crafted. 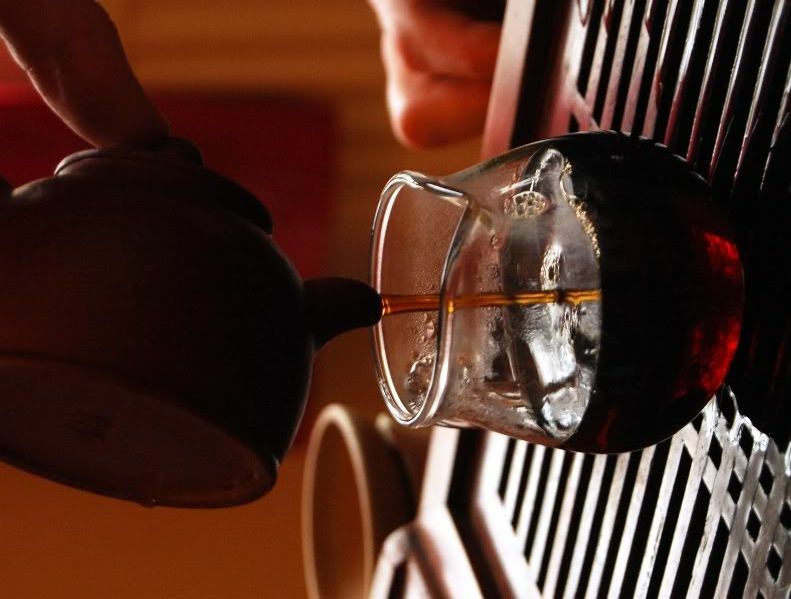 Notes of fruitiness exist, mixed with the Yiwu. Alongside these, obvious tones of standard "Menghai". The individual components of the blend are quite distinct, and it's clear where one ends and the next begins. 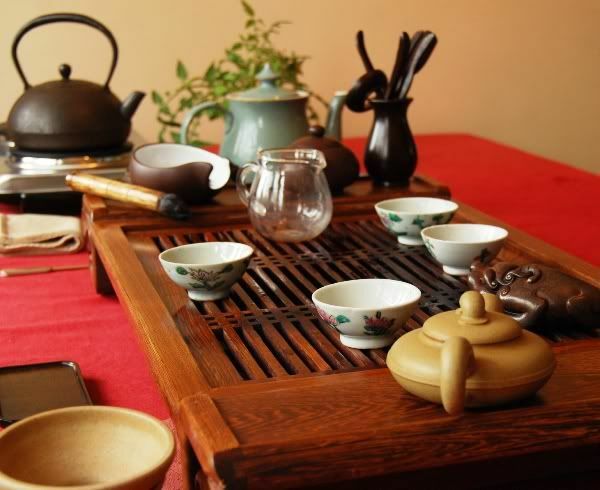 This tea is a Picasso: its quality and workmanship are obvious and to be applauded, but it is not to my taste, and does not captivate my attention. My boss often claims that he does his best thinking in the shower - to the point where he is allegedly considering putting some sort of waterproof whiteboard in there to scribble down his ideas. My wife claims that she does her best thinking in a similar environment. For me, quelle surprise, it's the tea table. Back at the tea-table, it's a different story. Emptying out a busy mind, it all gets quieter and quieter until there's just the sound of me sipping tea. 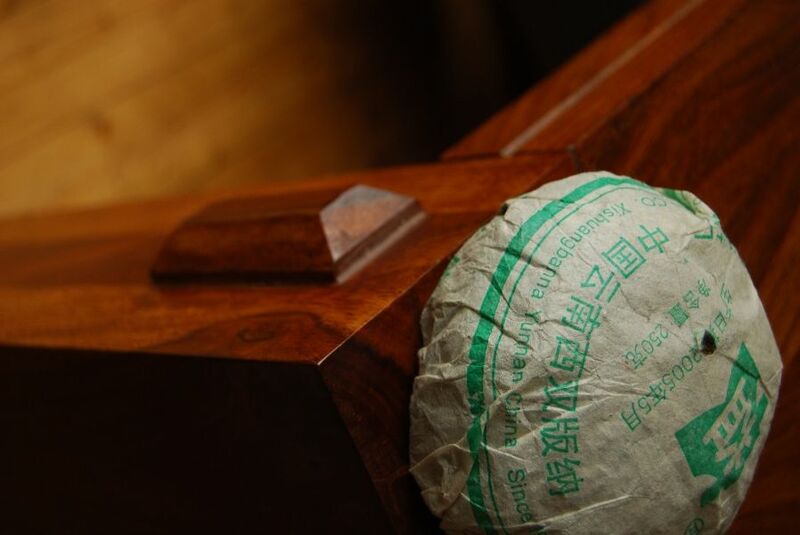 It is fitting that a recent meditative session took place in the company of a mystery shengpu kindly provided by KCJ. This is a cake bought in Beijing with little information - it's an unknown soldier. 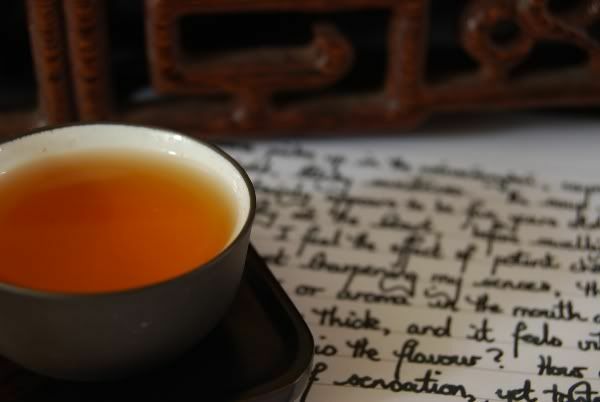 I knew that this tea was going to be special before I even approached the tea-table, just from my mood. Even now, as I pen these words, my skin tingles. I feel unburdened. The colour of the dry leaves, shown at the start of this article, has a slight orange-brown tinge to it, which makes me think of savoury, Lincang flavours. The soup turns out to be orange with a slight brown-yellow tinge, again making me think of savoury grain. In the flavour, plenty of grain. This tea is a wildnerness: wild honey, wild herbs, wild grasses. My nose clears, my mouth awakens, my eyes feel calm and sharp. Clock ticking on the bookshelf. Pen scratching lightly on paper. Tetsubin singing quietly while it cools. 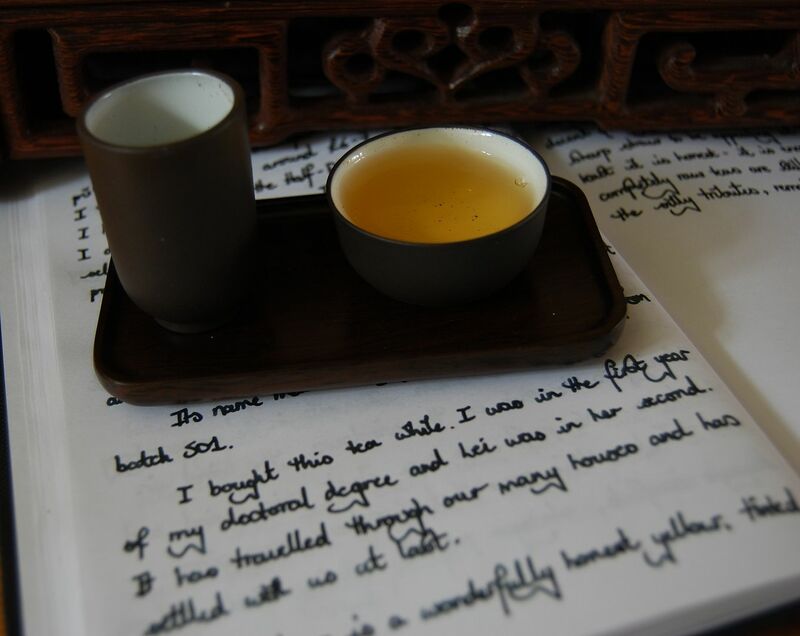 One of my biggest mistakes when starting out in the world of decent tea was to hurry. Consequently, one of the most beneficial lessons I've learned is not to hurry. It's not an easy lesson. 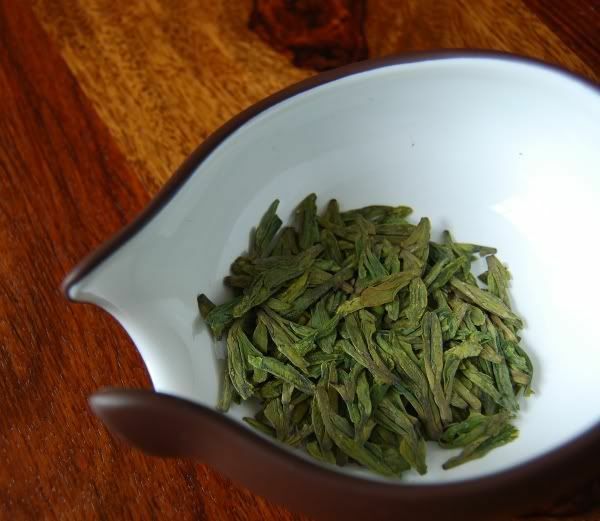 Dr. Kim recently sent me a fantastic Longjing sample - the first I've had in years, in fact. 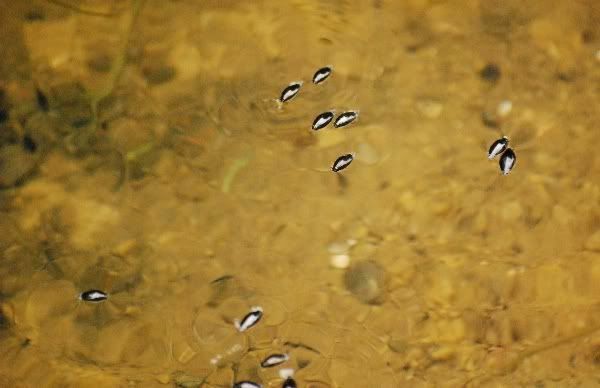 Looking at the photograph above, it's a beautiful example, consisting of "sparrow's tongues". You can guess what it smells like. The photograph itself almost exudes that familiar gently-fried savoury aroma. I haven't enjoyed Longjing in years because I've stopped buying it, which sounds logical enough. The reason we stopped buying it was because we always had too much of it, and it doesn't last long. 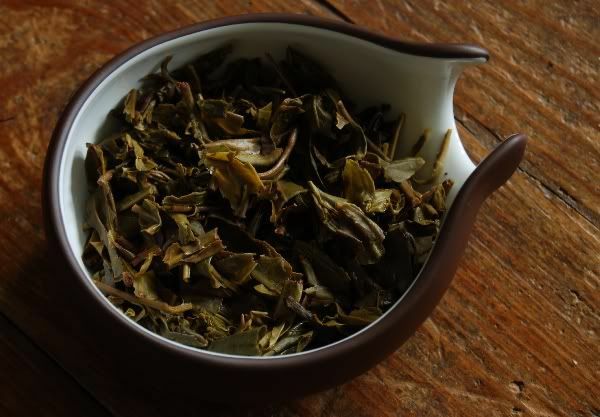 We had bags of Longjing, bags of Xinyang Maoijan, bags of all manner of other short-lived teas. They were thoroughly lovely when young, but rapidly become flat - after one year, they are a shadow of their former glory. This led to a rather uncomfortable sensation: we had to hurry to consume our tea before it died, and there was far too much to drink. So, we stopped buying green tea. 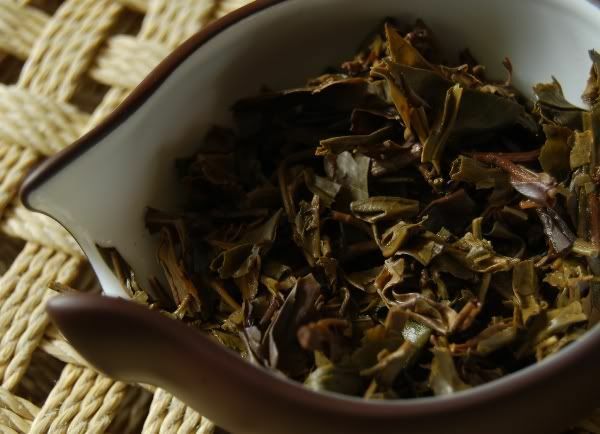 We keep a small amount of qingxiang [ching-sheeang] wulong, a small amount of hongcha, a small amount of other "perishables". I think it might be time to buy tiny amounts of lucha again, but it's difficult to stay on top of your quantities. Two years back, CB very kindly gave me a half-kilogram of Dianhong. 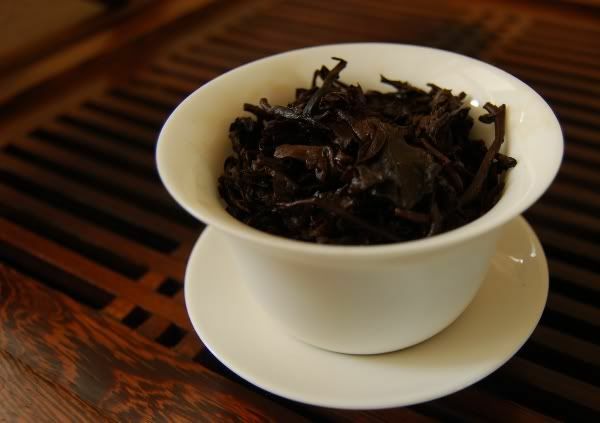 It was absolutely delicious - Yunnan's red tea is one of my favourites, up there with Qimen [chee-men, a.k.a. Keemun]. I have been drinking this tea at least three times per week in my office ever since - and it just ran out last week. After two years. Tea takes a long, long time to drink - even given the admittedly fairly excessive quantities that I use. Be careful with your purchases, because they are going to hang around a long, long time. Weigh every purchase carefully! I don't like the idea of waste - we waste far too much, of everything. Pu'er, too, is not immune to this. 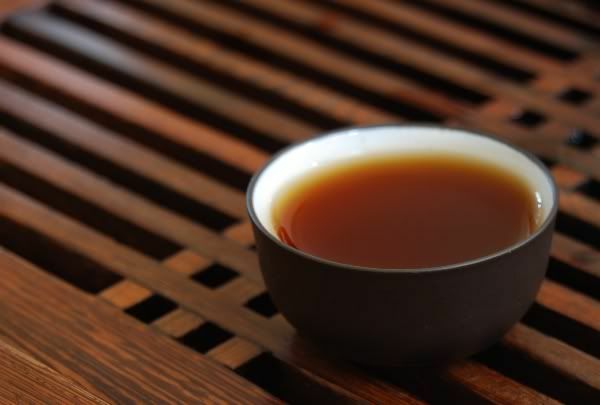 Another weakness of mine, I have always bought too much pu'er. When I started out, this was particularly painful, because now all of those terrible, rough cakes are haunting my shelves. There remains the hope that they will age into something more palatable... but I'm not holding out my hopes. So, these days I try to buy less. If I can't convince myself to buy less, then I at least try to buy smarter: sample first, buy small amounts, and only grab that tong when you know it's ab-so-lutely superb tea. Kunming is an old factory. It's the '1' in the factory coding, to the '2' of Menghai and the '3' of Xiaguan. Muchas gracias to Dr. Kim for this sample - it has a highly traditional blend of small leaves, which are darkening nicely. The tips are gaining a little rusty colour, on their journey into old age. 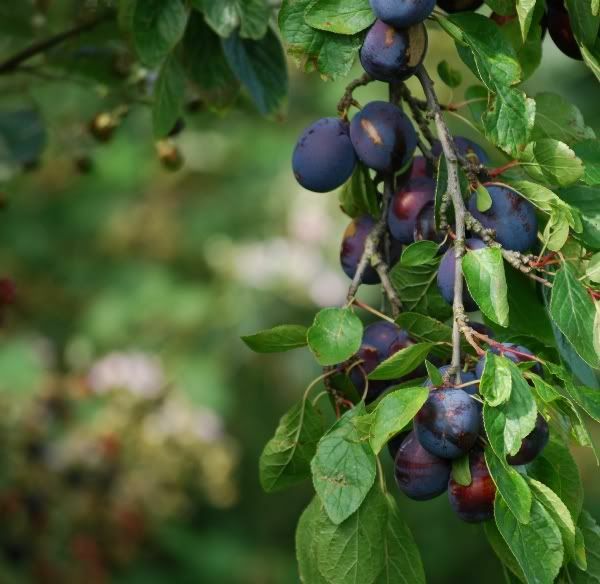 Long, sweet, and thick scents herald a flavour of sweet woodiness. Vibrancy, and a pronounced cooling sensation make me breathe slowly. Superb tea. A slightly smoky aftertaste makes it really rather meaty. This fat, chubby flavour, packed with contents and that meatiness fit my mood, bringing me back to life after an evening spent punting in the cold summer air. Wouldn't it be nice if our cakes turned into teas like this? I hope we're not in for some unpleasant surprises! With life returning to an approximation of normality, it gives me great pleasure to introduce a new tea-tasting event. 1. Please e-mail me (hobbesoxon at gmail dot com) if you'd like to join in. The 15 available places will be allocated on a first-come, first-served basis. Places tend to fill up very quickly, so I will add names to a "reserve" list after the first 15 have been filled, in case anyone withdraws. There is no charge - thanks to Yunnan Sourcing for providing support. 2. Please only join if you're willing and able to taste each of the five samples within two weeks of receiving them. The samples should be with you in the next few weeks, so if you're going away on holiday and won't have time to taste them, please think twice about taking a place in the event. 3. The five cakes come from five different mountains/regions: Yiwu, Banzhang, Youle, Bulang, and Wuliang. The samples will be anonymised, and we'll find out which cake is which at the end of the tasting. 4. 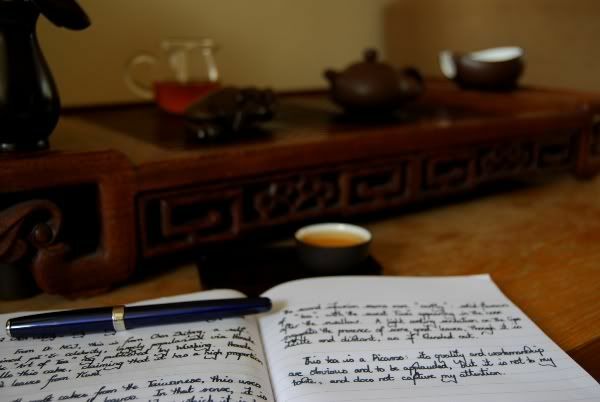 I'll publish an article for each one of the five teas, one every three days. Please pop your notes for that tea into the "comments" section of that article, so that we can collate ideas and opinions. 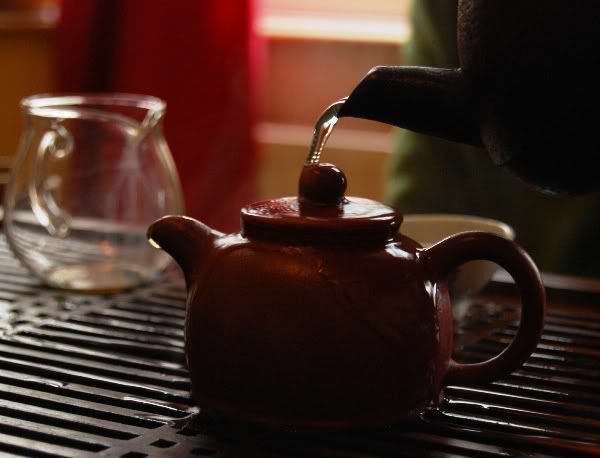 If you have a tea-blog, feel free to write your opinions elsewhere, too - but please be sure to at least leave a comment here, so that we can get a discussion going. I hope that you enjoy the event! Disclaimer: I trust that it goes without saying that there is no personal profit involved. I even bought my own samples of these teas already - silly me. Edit: Holy smoke, thanks everyone for the e-mails. I've received over 50 in the first half-day! I'm sorry to have to disappoint the majority, but I've allocated all of the 15 spaces (first-come, first-served basis) and regretfully have to close the event now. I have tried to reply to each e-mail: if you've not made it onto the main list, I've got you on the reserve list as promised. Late edit: two more requests have arrived while I've written this. I feel terribly guilty not to be able to include everyone, but I'm sure you understand. Next time, perhaps! The media made a big fuss over weather predictions for this summer, which were for one of the hottest on record. 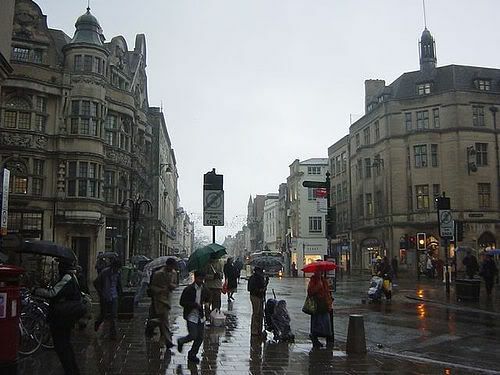 In fact, it's turned out to be unseasonally chilly, and consistently rainy. Dark, low grey clouds. Drizzle. Oppression. It's time to combat the grimness with some good tea. I rather like the productions of Yangqinghao, a Taiwanese brand. I've never bought any so far, because I don't believe that it's sold at very realistic prices, but it's good stuff. So, I was particularly chuffed to receive a sample of "YQH" from Dr. Kim (thanks again!) that I'd not encountered before: the 2004 Chawang. Like many Taiwanese teas, this is an interesting blend, made from small fragments of small leaves. They seem to like them maximally traditional, and that's no bad thing. 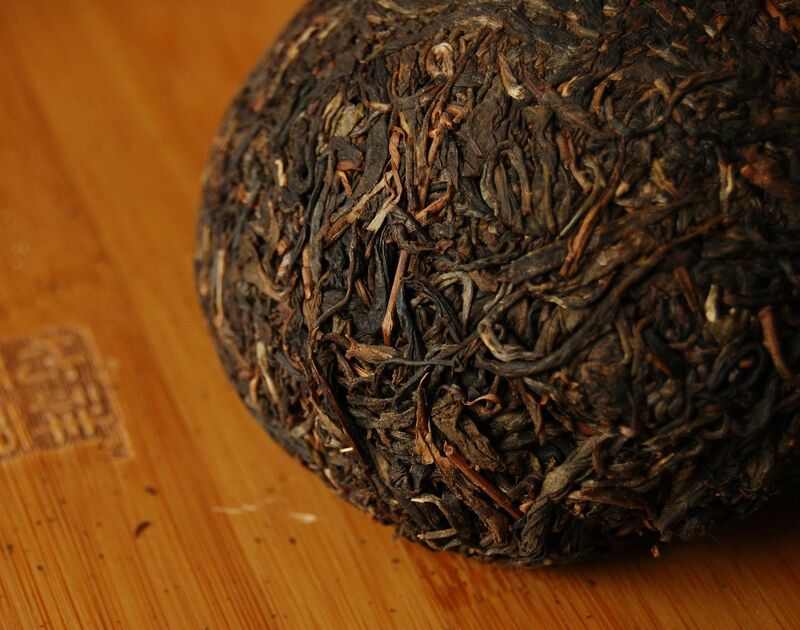 Every pu'er has a place in my heart: blend or single-mountain, fragmented or whole-leaf. Just so long as it's tasty. 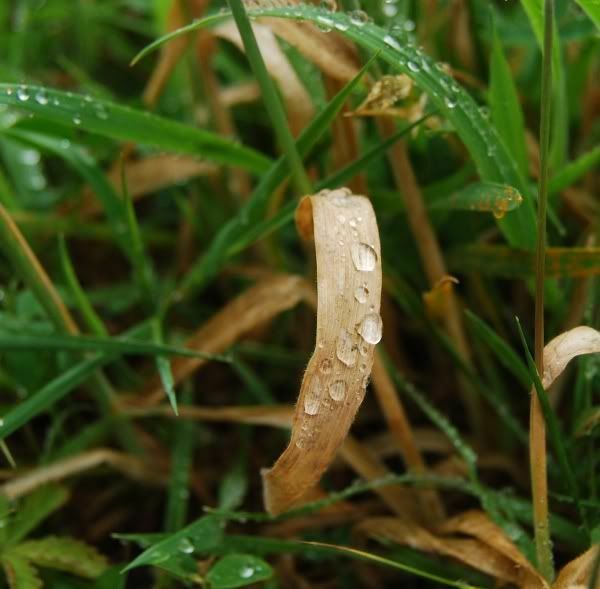 The aroma of the dry leaves is suspiciously quiet: a little distant mushroom is all that I can taste. Heading into the first infusions, I am struck by the fact that this tea has absolutely no flavour, nor aroma. 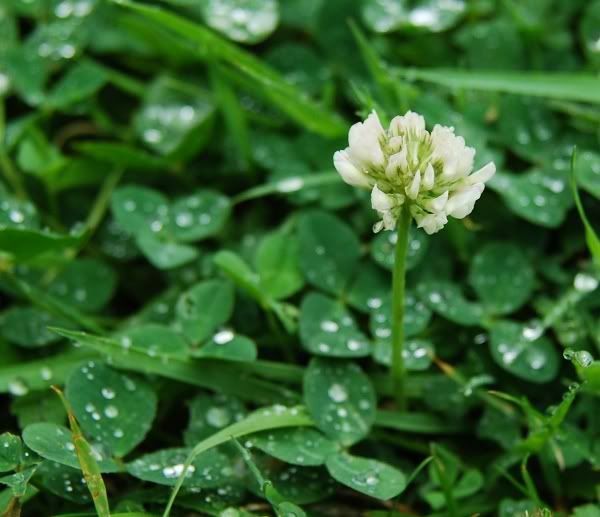 I sniff the leaves - dark green scents, as expected. Curious - where is the character? 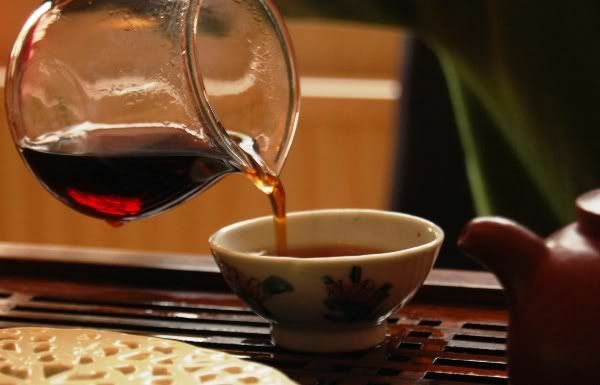 The body is thick and strong, the chaqi is a knockout, it vibrates on the lips, and it leaves the tongue cool - all signs that I associate with being in some way indicative of good tea. It feels as if there's a lot in this tea, but it has no flavour! I'm no stranger to messing up tea sessions. This time, I went to the kitchen and sampled random substances to see if it was my senses that were at fault. I could taste salt. I could taste soy sauce. However, the sugar was only texture - it had no flavour or aroma. 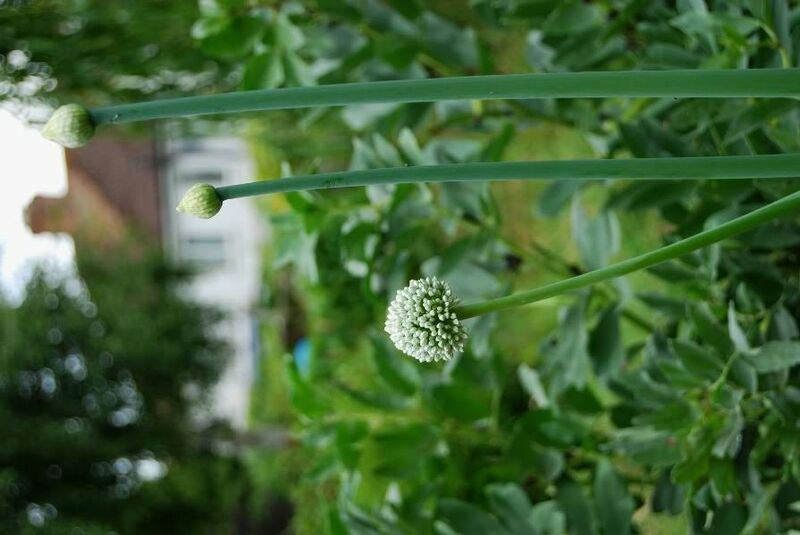 Similarly, the coriander pods. A friend of mine has a peculiar defect to his sense of smell: he says that he cannot detect "herbacious" scents or flavours, such as tea. At the time, I considered this an unusual freak occurrence - but here was I, with precisely the same symptoms! Then, I realised that I had just eaten a sandwich containing (i) lots of chili sauce and (ii) lots of jalapeno peppers. They stripped my mouth of the ability to detect herbaciousness and sweetness! I came back an hour later, and the Yangqinghao was revealed: woody, thick, spicy, and yet wonderfully sweet. At last, the textures and chaqi came together with some suitably pronounced and potent flavours to relieve my concerns. Remember ye well: perhaps unsurprisingly, chili and tea don't mix. It must be our lucky month for tea-meetings: two weeks after seeing Nada, Mr. and Mrs. GV came to visit, despite dark skies and heavy summer rain. ...for some warming teas. Setting up the teaware on the dining table, we had a good view of rain pummeling the outside of the house, windows whipping the leaves of our cherry tree in the front garden. The rougher it is outside, the cosier it is indoors - especially with friends. GV has some incredible cups, pictured above, which my imperfect memory suggests are Qing Dynasty. They made some great cups back then. These four little friends were particularly dense, meaning that they retained heat forever. I particularly loved their wide aspect, which promotes cooling of the soup. 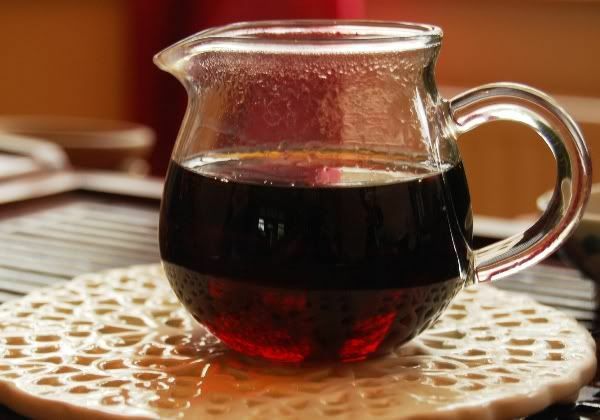 As you may remember from previous articles, I'm used to tiny little brown cups (pictured at the end of this article) with partnering wenxiangbei [aroma cups]. However, I could easily be converted to cups like these! We started out with the bingcha version of the famous 2004 Taihe cake that GV bought from Zhou Yu himself (respected owner of the Wisteria Teashop in Taipei). I previously tried the maocha from this "benchmark" cake, and was struck by its thin character. 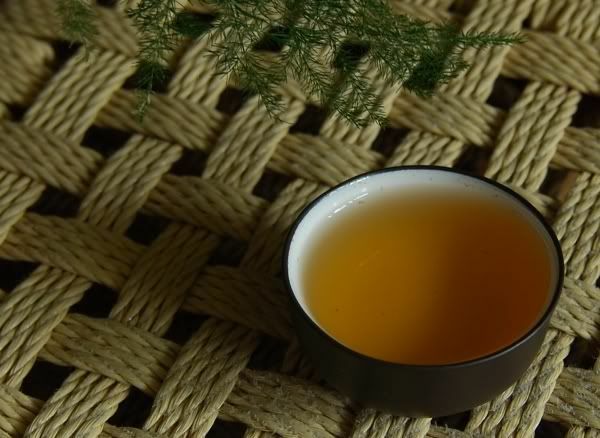 The cake is infinitely more potent: the same reedy, straw-like nature, but with strength and texture that I found to be absent in the maocha. The face of the cake is covered in huge, long leaves all aligned in the same direction such that their stalks are parallel. GV noted that the 2004 is Zhou's favourite, with the quality falling off rapidly in successive years, until cessation of production in 2006 at which point he became unimpressed with the farmers. To try this cake at our own tea-table was a great privilege, but to do so with tea-friends was a singular luxury. Next up: a beautiful 1970s roasted Baozhong, from the shop that made the "Wang process" famous, where tea is roasted using wood burned beneath holes in the shop floor - rather than conventional charcoal roasting. The result was a sweet, fruity flavour, where the roast was complementary in its sweet-chestnut character, rather than dominating. Heavens, our guests seem to have some insanely good tea. 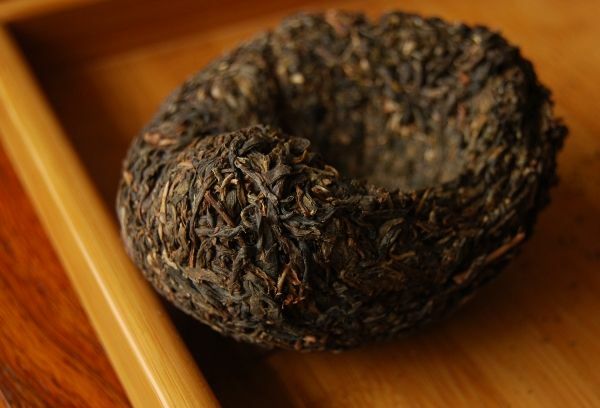 Nada spoiled us with 1930s liu'an, and GV spoiled us with this landmark tea from the "masterpiece" era: the 1960s "Bazhong Huangyin" [BAH-DJONG HWANG-YIN, 8-zhong yellow-mark], which follows the famous red- and blue-mark cakes. 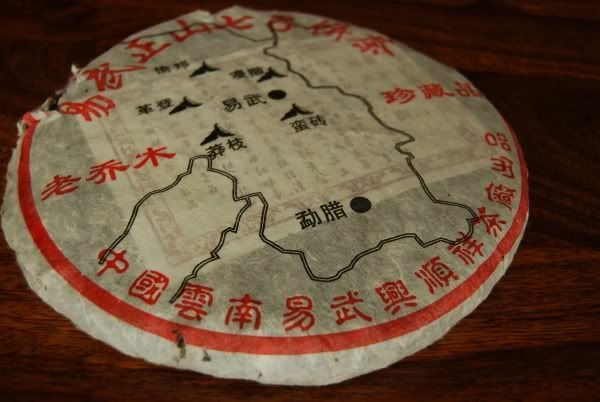 The notes at Houde, where this sample comes from, indicate that it falls into the era between the mark-cakes of the 1950s and the "qizi bingcha" [7-sons cake-tea] era. It is one of the first, if not the first, cake with the now-familiar CNNP wrapper, with zhong-cha characters in the centre, but with pinyin romanisation of the upper and lower character strings. 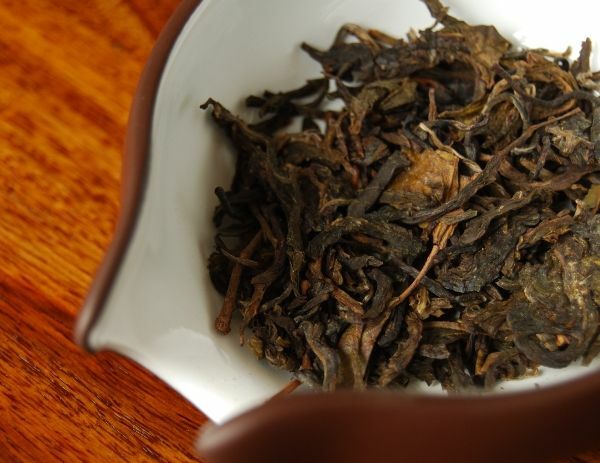 We used the whole 10g sample (pictured above), brewed in a lovely pot of GV's (pictured below), which he bought in Shenzhen. The pot's mottled skin began to glow under the rinse. It looked very happy to be brewing Huangyin. 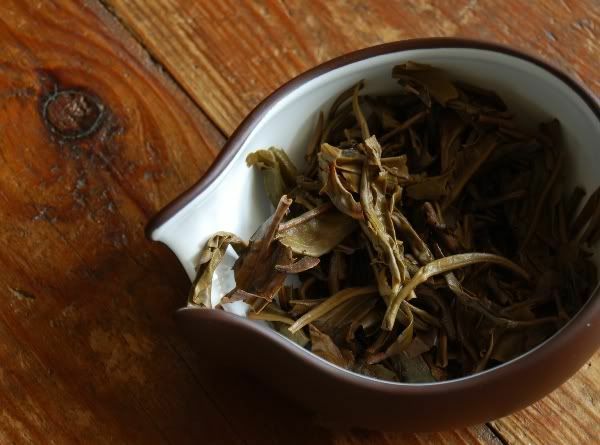 The leaves are large fragments of big leaves, with a mild shicang [wet storehouse] aroma. The particulate nature of the tea entirely blocked my filter - that is, it totally sealed the filter preventing passage of the tea. Later infusions became much cleaner, courtesy of the big leaves. The soup is rich and dark. I've been drinking this for most of the next day (a Sunday, thankfully), and even after 25 infusions, it remains dark red. This is a hugely potent tea. The longevity is greater than anything I've encountered to date. 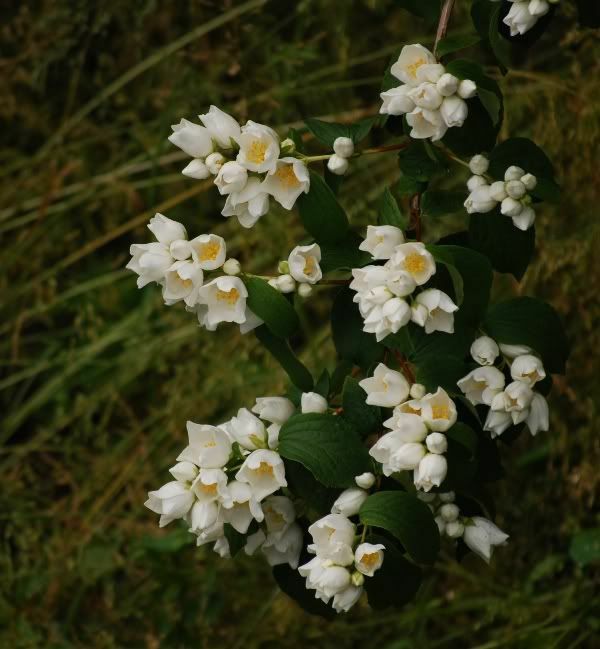 It's also one of the sweetest old teas that I've ever encountered: the aroma and flavour are sweet, sweet, sweet in their woodiness. As you can see, the soup has a shining clarity about it. Thick and chunky, it dwells in the throat forever, resounding long and sweet. Even the very first sips in the session the next day feel significantly narcotic. Something is at work in this tea, and my pulse rate decreases noticeably. During the next day, the malty, sweet character continues undaunted. After two days of drinking, I box it up to take into my office to keep me company during the coming week. A remarkable experience. After such a treasure, there was only one way to finish the evening: the mighty huoguo [HWOH-GWOH, hot-pot], a dish traditionally made of napalm into which one dips chunks of food, rather like a fondue. Thanks again to Mr. and Mrs. GV for braving the weather, and for great generosity in making the tea-session so special with their presence and tea. I look forward to a repeat performance on the "away" venue! Late edit: day five, over 60 infusions later, and the Huangyin soup is still thick and woody, orange-yellow in colour, and giving a heavy chaqi that makes me feel exceedingly calm. Five days! Some teas just detonate inside the mouth and leave you reeling. Meiguohao 901 is one of these explosive numbers. 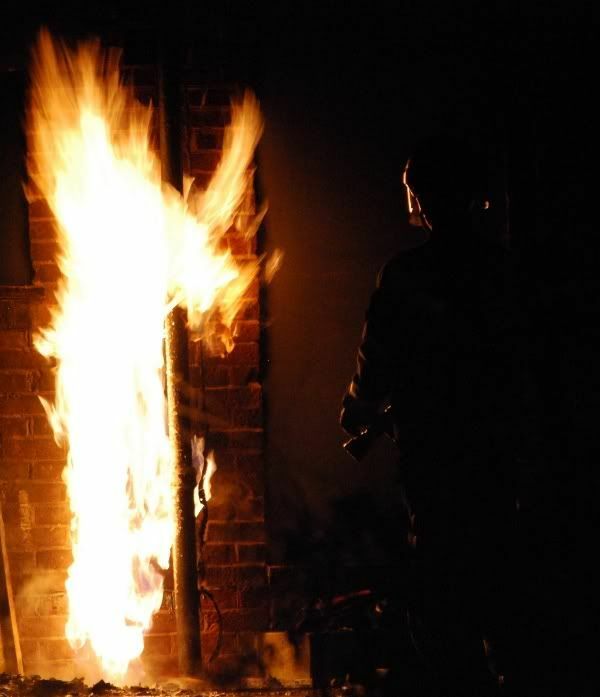 The pub at the far end of our garden recently caught fire - is this a Fire Elemental? This cake sells for just $10, which is superbly inexpensive. Maximum kudos to Puerh Shop for keeping the price realistic. Sadly, it's also sold out. In my order for a 902, 903, and 904 cake, Jim kindly enclosed a sample of the 901 so that I could see what I'm missing. Don't the leaves look small and dark? The aroma of the dry leaves is quite quiet. Like a bomb in its quiescent state. Nuclear carnage bottled up in a small container. Add some water for the rinse... and maximally mungous Menghai scents are unleashed, as the dogs of war are let slip. Chunky, chunky, chunky - heavens, how I miss Menghai. I love that patented, original, satisfying Menghai character. The aroma of this tea is exactly like Dayi. Long, pleasant, sweet, grain-like... you know the drill. In the mouth, it's just like Dayi - but more. Bigger, cleaner, more vivid, and longer-lasting. I like it. Very much. It ends well, and has plenty of texture. My unashamed bias towards Dayi flavour makes me very positive towards this tea - highly biased, and proud of it. They contain great flavours. My attention thoroughly captivated, I delve into the depths of this tea and find hints of wildflowers over its solid, leathery base. Marvellous stuff. 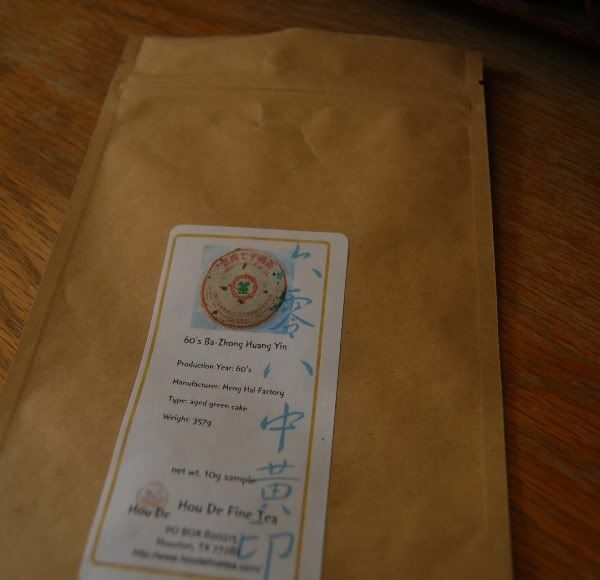 There is a Lincang character in this tea that is obvious: a strong savoury, cereal-like tone that runs throughout. 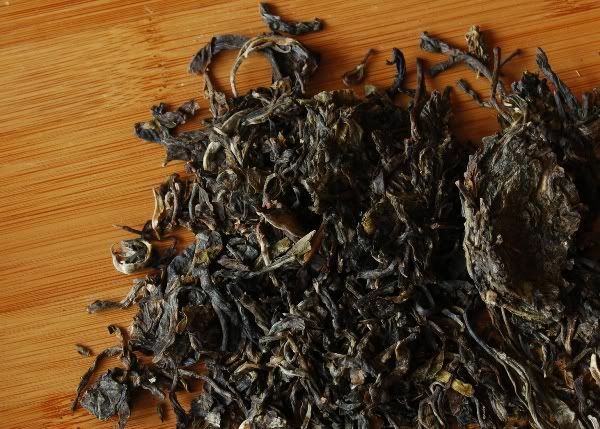 To my great satisfaction, I note the product description: "Three leaves of Menghai and one leaf Lincang", writes Puerh Shop with a welcome touch of poetry. Why is the 901 the only Meiguohao the only one that's sold out, when it's the one that I love the most? Oh cruel fate! Woe, woe! Late edit: Puerh Shop have restocked this tea. May choirs of angels sing them to their rest. Cherubim and seraphim continually do cry. My credit card details leap from my fingers. Later edit: another session with this tea - somewhat less impressed, but it's still great value and a really solid Dayi-style tea. Excellent.